Taxi Centrale offers you peerless comfort at every ride. The vehicles of Taxi Central are always state of the art and correspond the highest security standards, to safely drive you to your destination. Loyalty is important to us, we always keep our promise to be at said place to said time. Nobody likes to miss important dates, meetings or even flights, that’s why we are always a few minutes early. Driving safety is something that should be self-evident these days. 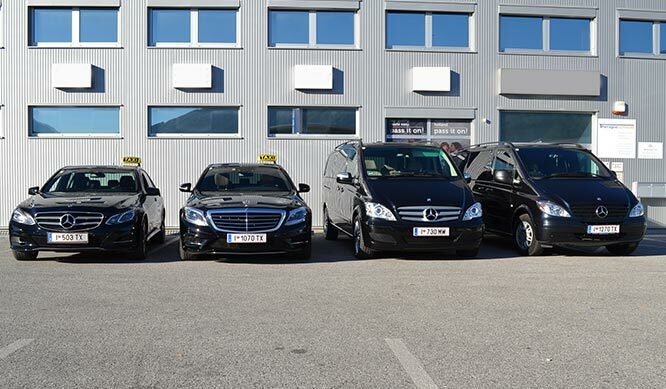 Still we like to indicate, that the premium vehicles of Taxi Central correspond the highest security standards and get checked on a regular base, so you can lay back and relax. At Taxi Central best price guarantee rules. You won’t find an airport transfer or a regular taxi ride this inexpensive anywhere in Innsbruck. On top of that Taxi Central offers the nicest drivers and a very good service. Your booking takes place online over our online booking system, but we also gladly take your booking via hotline or e-mail. The paying-process takes place in the taxi. Family-friendliness is a huge priority with us. 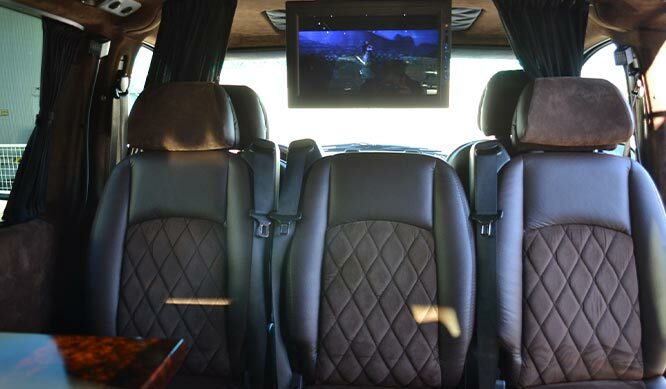 Up to eight persons fit in one of our big vans, that means everyone gets a seat. For our younger guests we allocate a children’s safety seat, so that you don’t have to worry about anything. 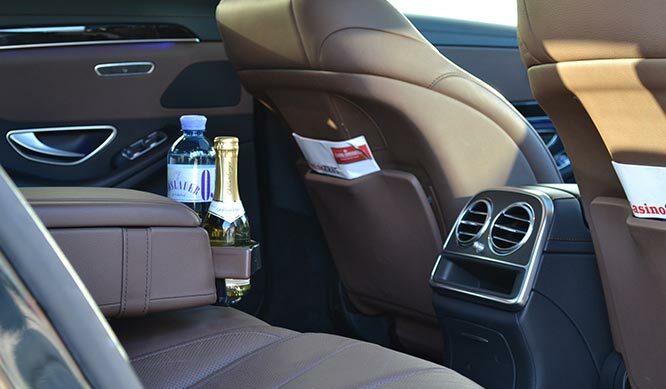 We only offer you personal transfers with high-class cars. 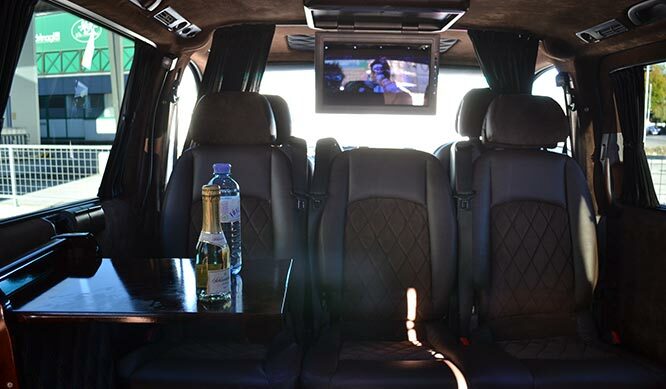 Our drivers are highly educated, who fulfill our aim to content you. Easy Airport Taxi Online booking. You can easily calculate your fate with our fare-calculator and book immediately. The payment is directly to the driver. 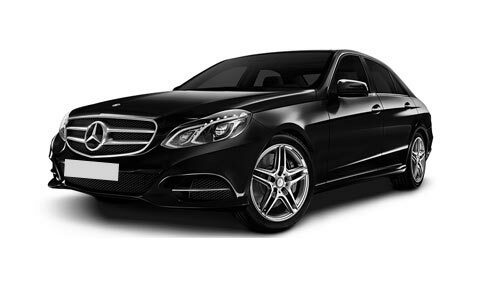 Start your airport transfer with the comfortable and individual cars from Airport Taxi Central Innsbruck. We offer you various high-class services. 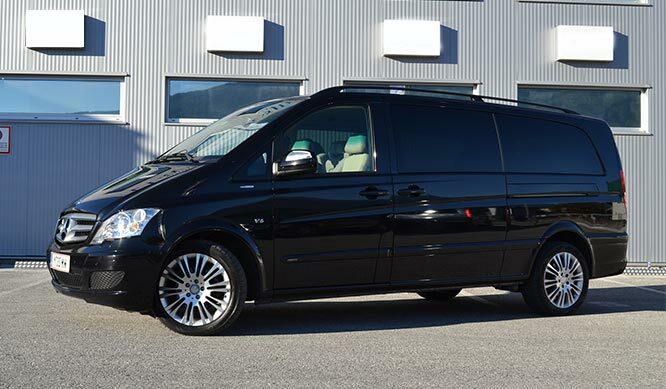 Try to travel with our airport transfer Innsbruck also called airport taxi Innsbruck. 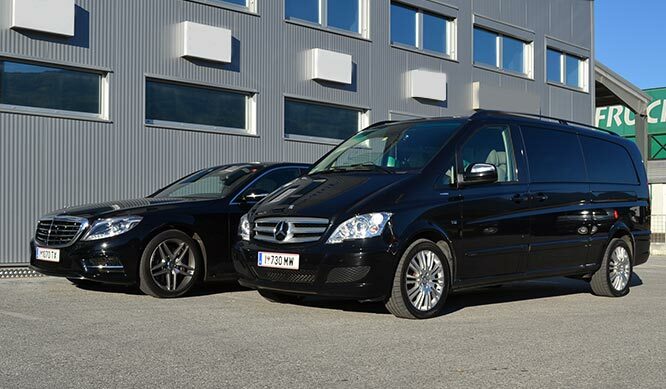 Our courteous driver from Innsbruck airport taxi are all multilingual and have local knowledge. 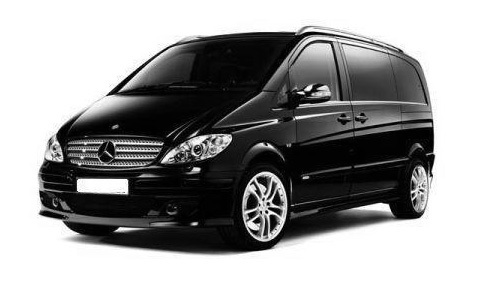 Our fleet consists only of high class cars such as Mercedes E-class or for bigger groups, Mercedes Viano or Vito. 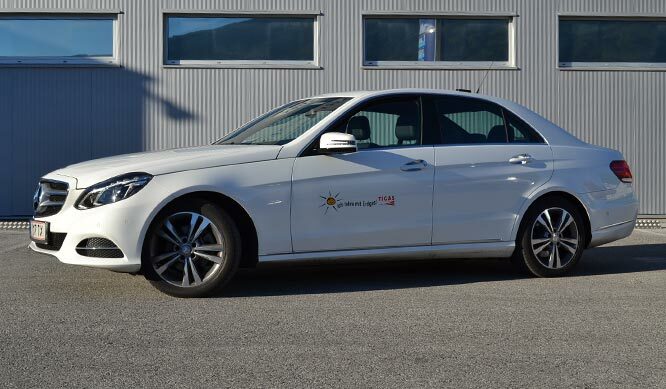 Our new and modern cars correlate the highest technical standards. As a special service we provide our passengers various newspaper, free WIFI and even tablets are available. Friendliness, punctuality, safety and excellent service are our principles. We look forward to welcome you as a passenger in Tyrol. We accept all sorts of credit cards. Taxi center Innsbruck is one of the most successful companies in Innsbruck for a lot of years. We are in commercial partnership with many important companies in Innsbruck. We offer you not only airport transfer, you can also book personal transfers for your business trips For special happenings you can book our high rated VIP-transfer: we own the right car for every trip and your personal wishes. Our young team is always punctual and specialized for different situations.